The Toe Pro was designed and produced by Dr Thomas Michaud - Boston, MA. A leading author and expert in musculoskeletal therapies. 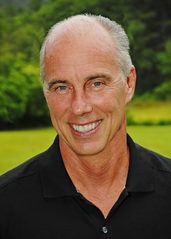 Dr Michaud has been managing elite athletes from around the world for decades. Dr Michaud has seen tremendous improvements in exercise therapy to better manage musculoskeletal problems throughout the body, especially shoulder, back and knee. However, there has been little science or methods to strengthen the muscles of the foot and ankle. Whilst once thought as a remnant of evolution we have learned to appreciate the importance of foot muscle strength in recent years. However, the ability to strengthen these muscles has alluded practitioners and repeatedly we have seen poor results in most commonly used methods to strengthen the foot. Now with the development of the Toe Pro we have the tool to effectively improve the strength of these muscles and we are only just beginning to see the range of the problems that we can assist or even cure through the use of this device.